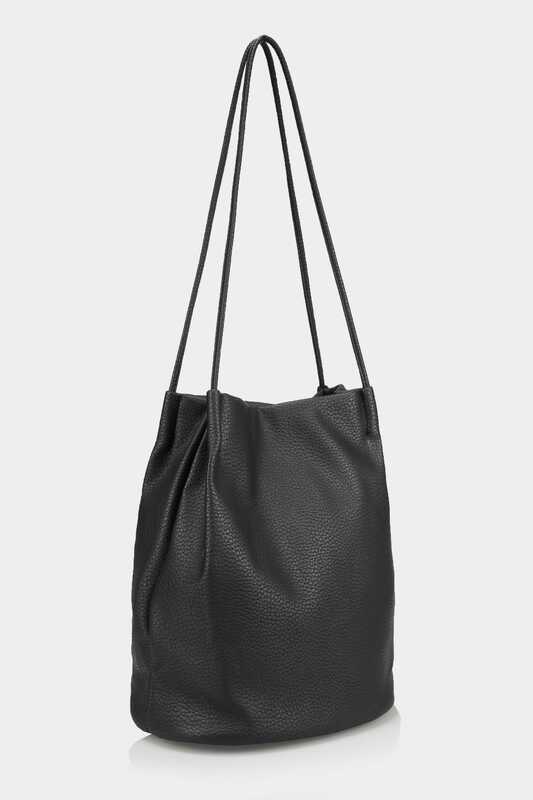 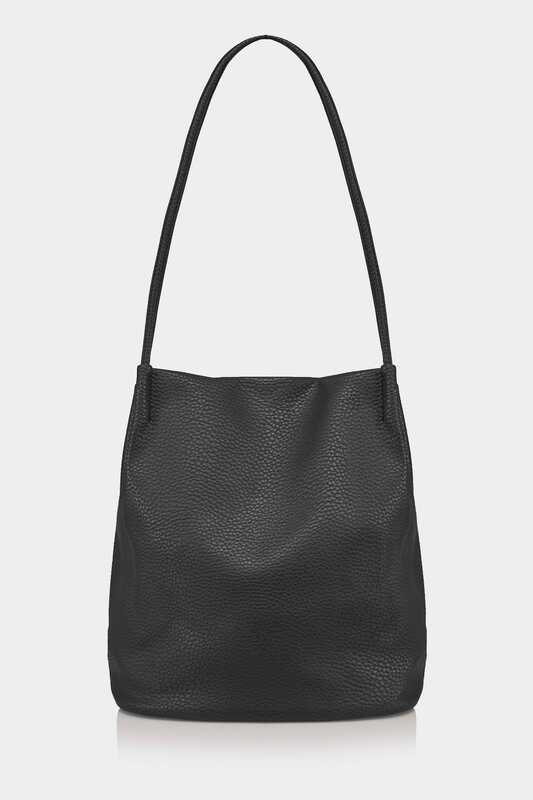 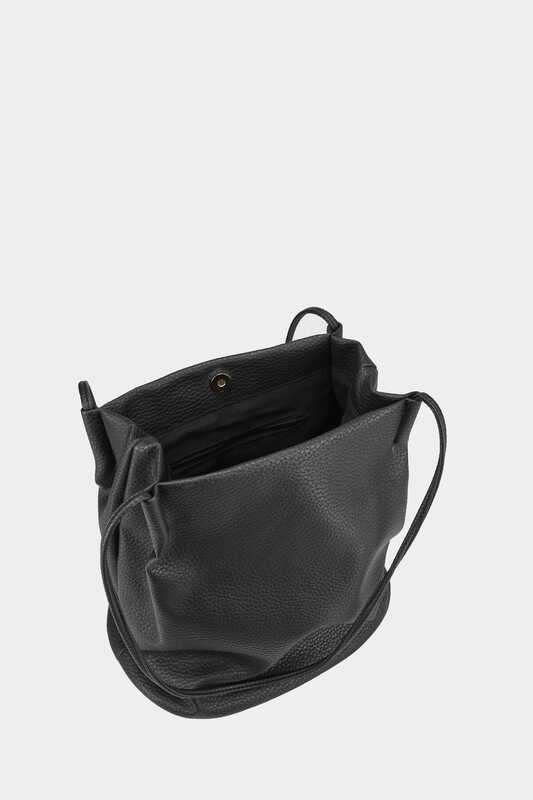 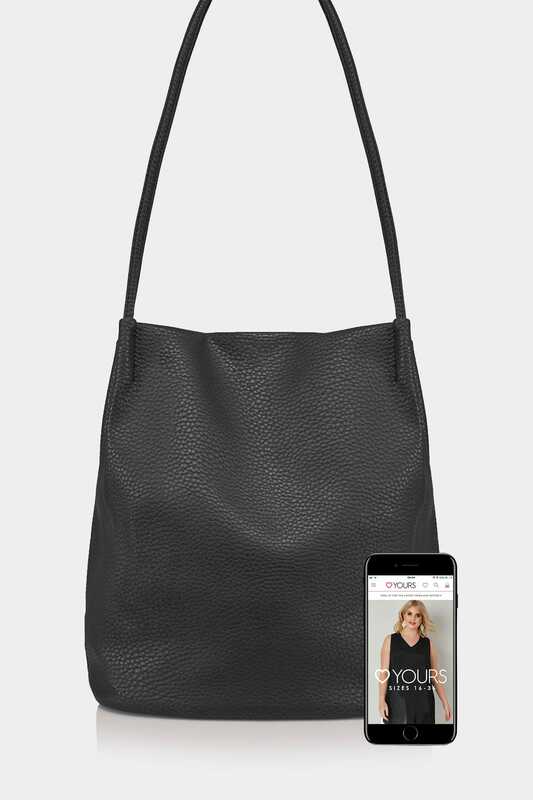 Black PU leather look bucket bag with long double handles and button close. 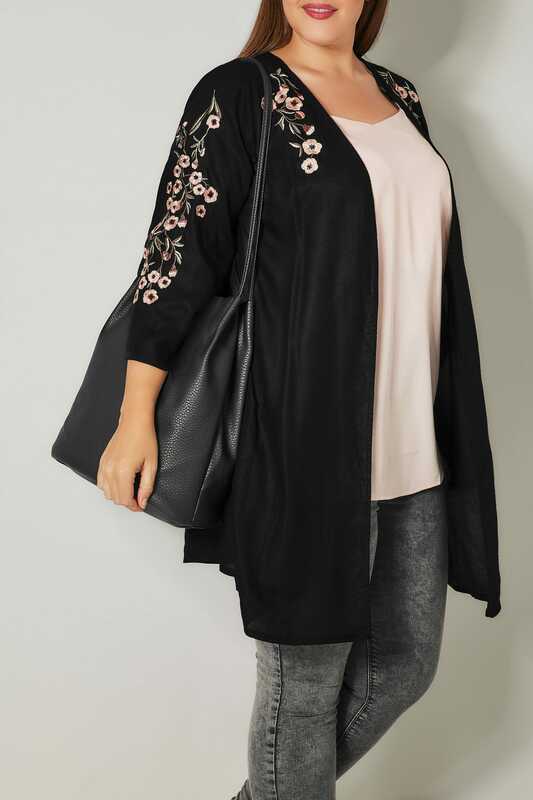 Featuring two open inside pockets and one zip close inside pocket. 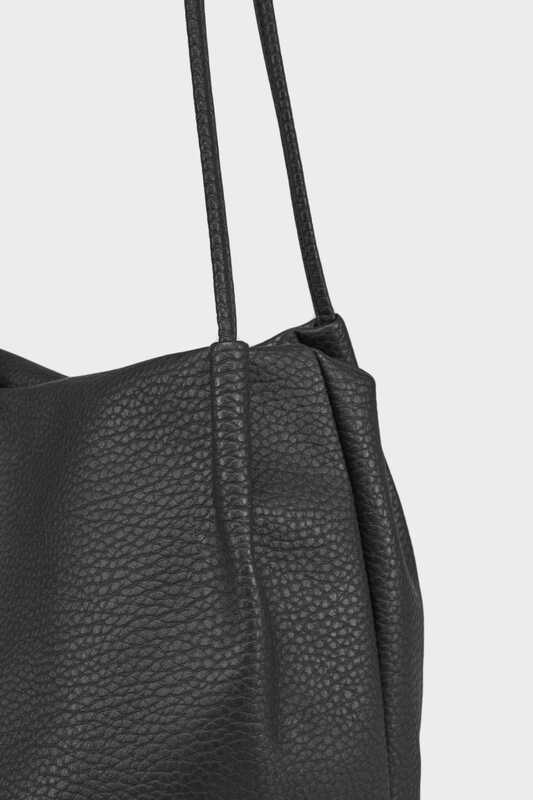 Add the style factor to your outfit with this super chic and versatile bag.